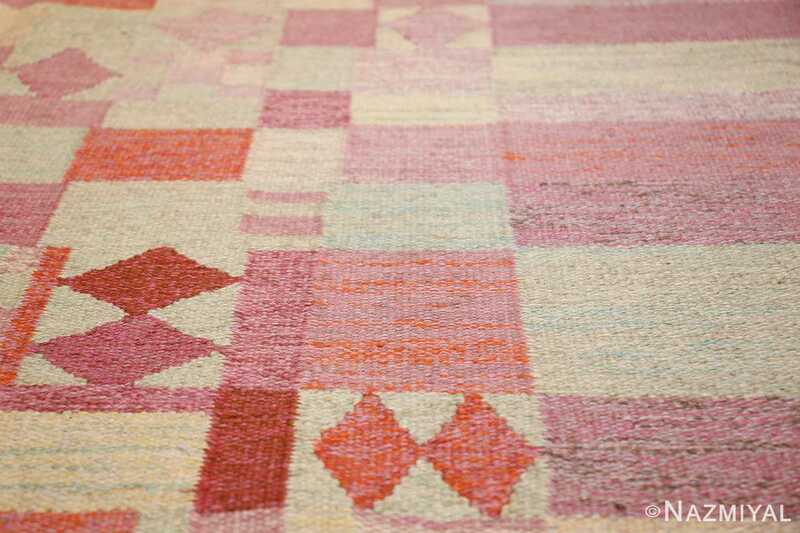 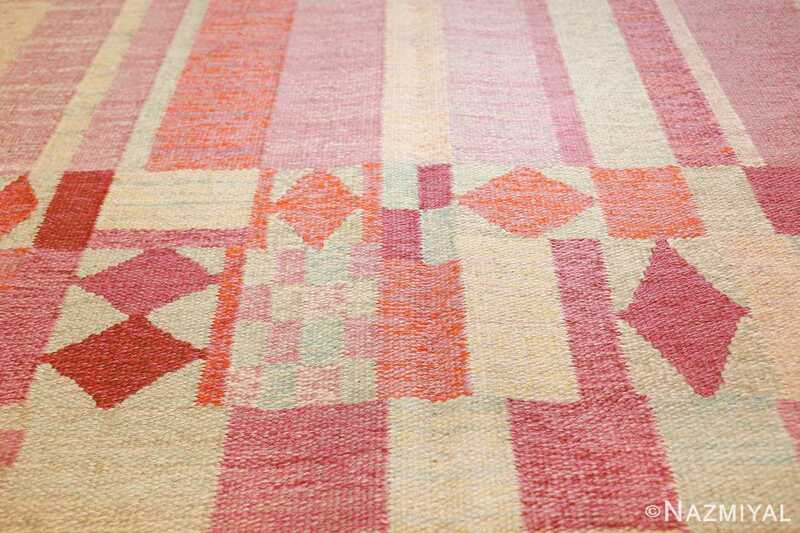 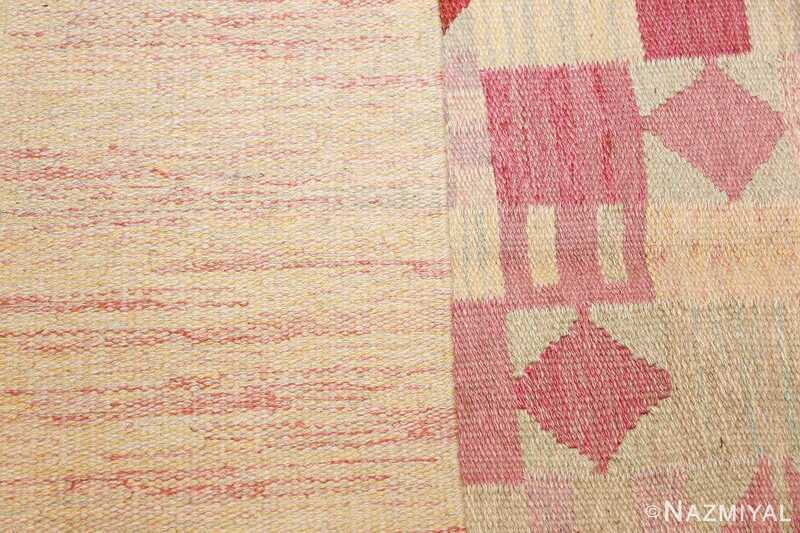 Vintage Scandinavian Swedish Kilim, Circa Mid 20th Century — Vividly toned geometric shapes define this delightful, exciting vintage Swedish rug. 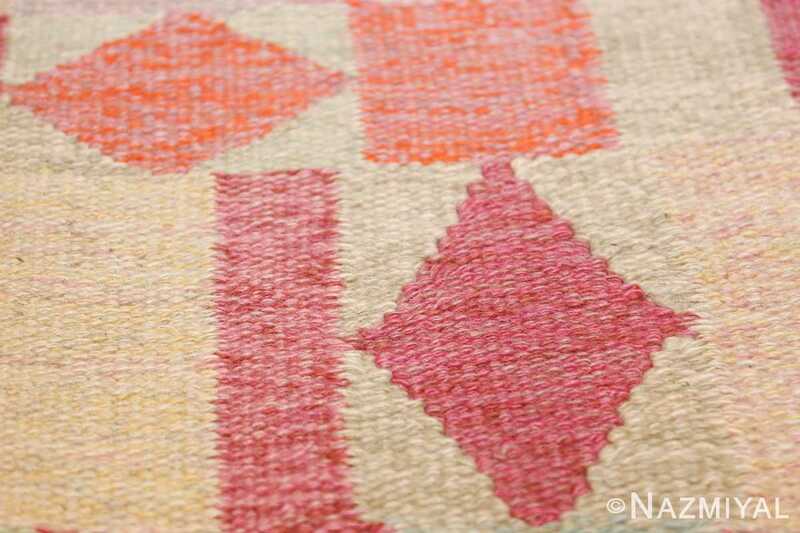 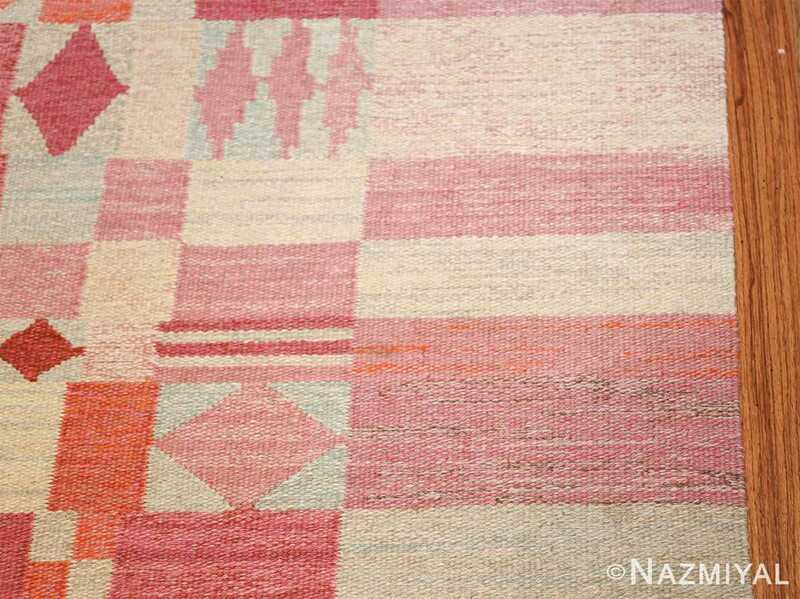 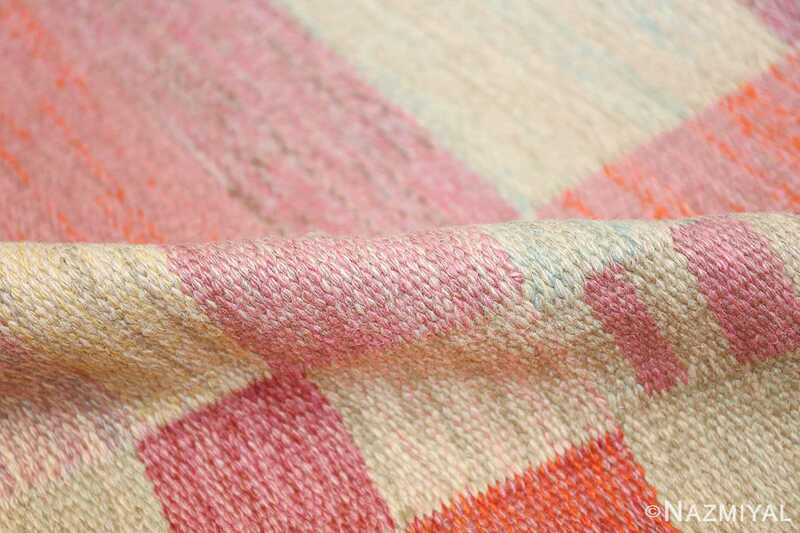 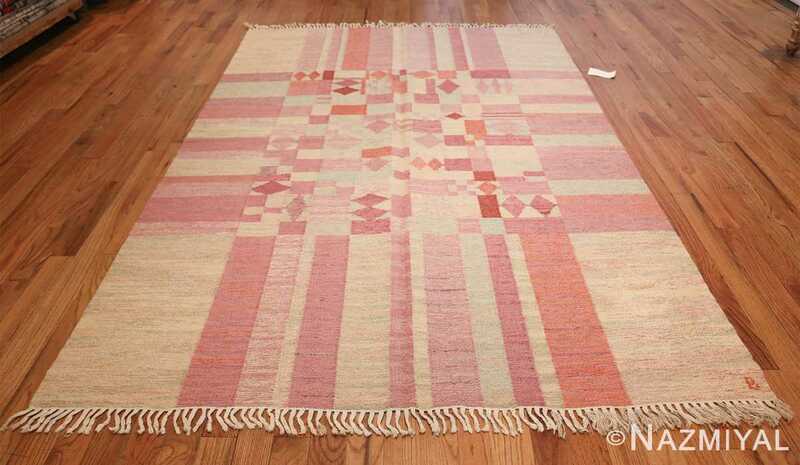 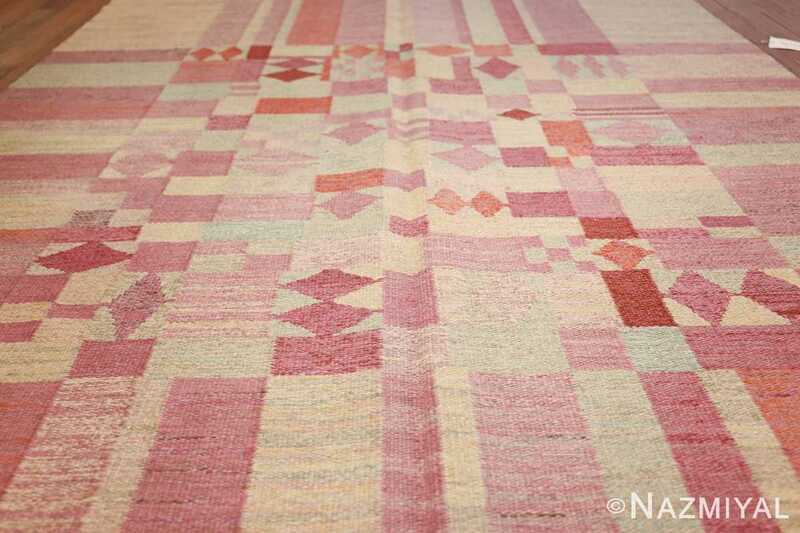 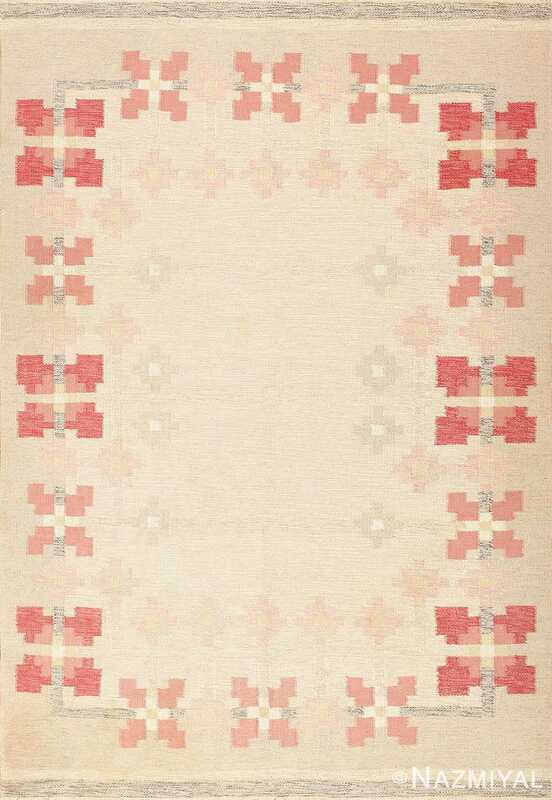 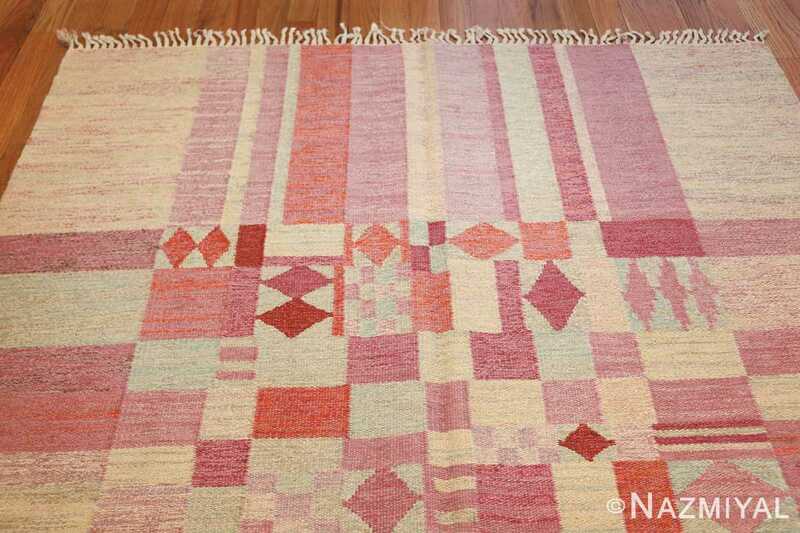 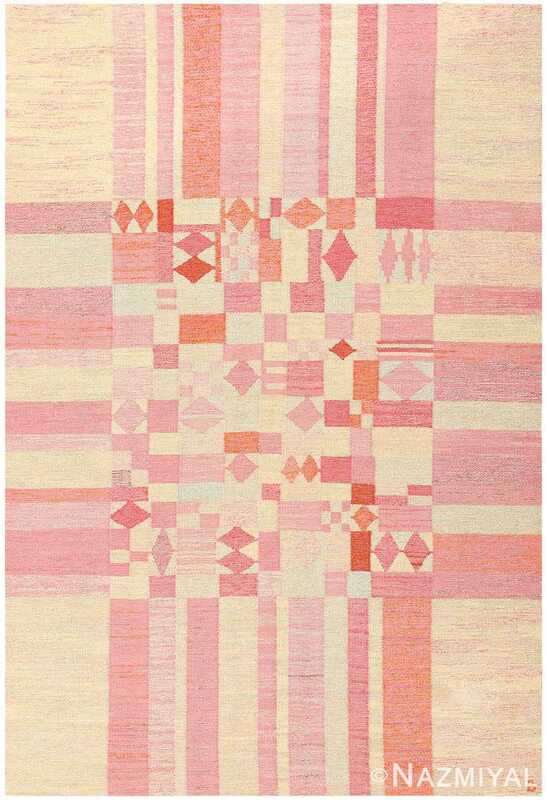 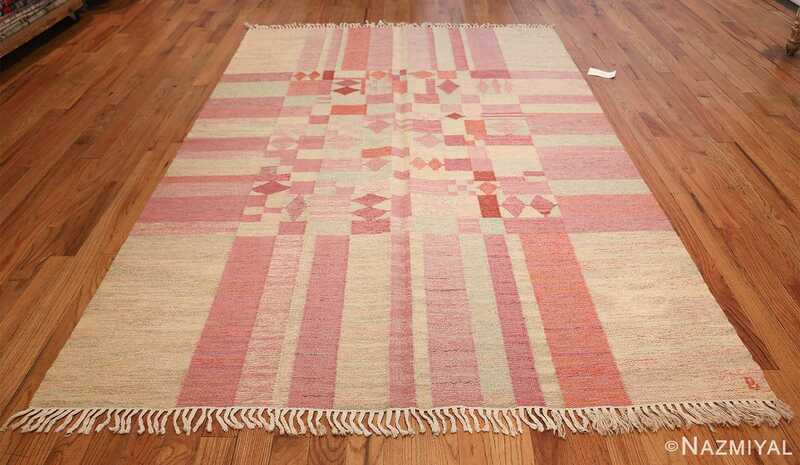 An abstractly woven patchwork assortment of squares, rectangles and diamonds colored in highly contrasting shades of light yellow, warm pink, soft orange and exuberant vermillion draws the eye to the densely patterned center of the rug. Anchoring the pattern’s striking, energetic asymmetry is a substantial striped border, which reflects and supports the overall liveliness of the color palette. 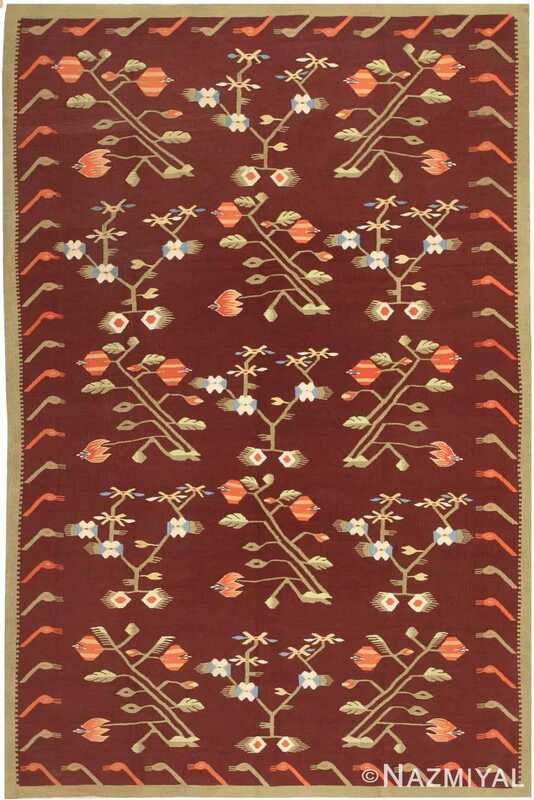 This arrangement can be viewed as a joyful unity of analogous colors with strong, formidable shapes. 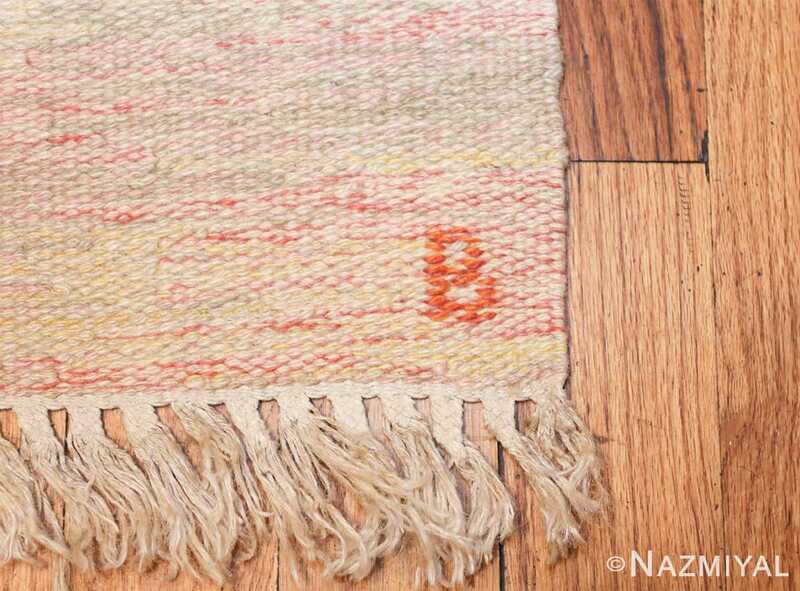 Vibrant and bold, this vintage rug will bring a sunny, affable quality to any space where it is displayed. 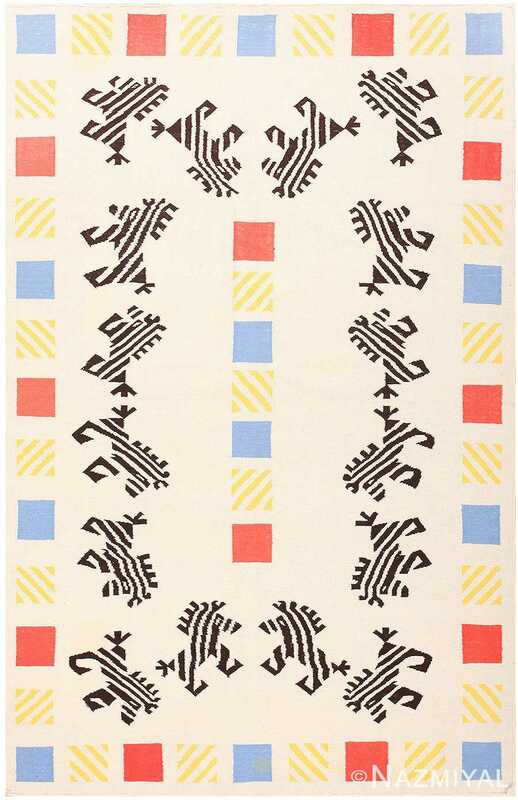 Incredibly imaginative and whimsical, this charming vintage carpet showcases the more lighthearted side of mid-century carpet design.